Be sure to reserve your Team Building or Corporate event with us! Trying to find something extraordinary for your Birthday celebration? Something that won’t just be remembered but talked about for weeks? 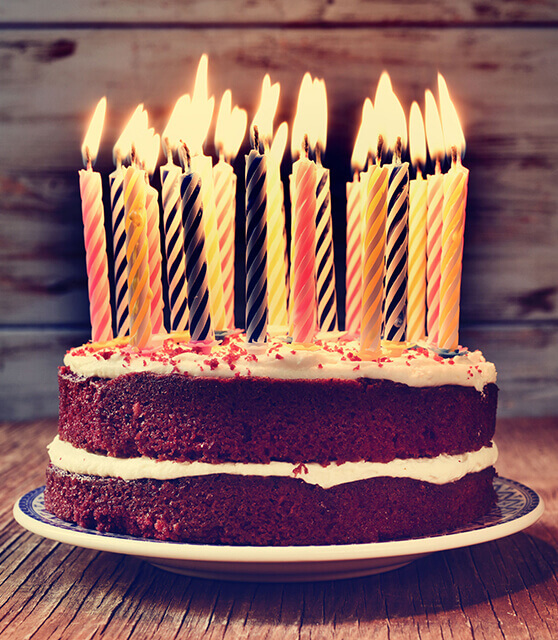 Celebrate your Birthday at Live Action Escapes! We offer new and exciting challenges that will make your party one to remember! At Live Action Escapes, you and your guests will be locked in a room with a unique mission to complete. From investigating a crime scene to piloting a star ship, you will have just 60 minutes working together to find the clues, solve the puzzles and escape! Our event room is self service. A full-service cleaning package is available for an additional $10. Between games, relax with your friends and family in our comfortable private lounge! Can't make it to Worcester? With the bus leaving soon, you’re in a race against the clock to locate the missing concert tickets before the bus leaves without you! 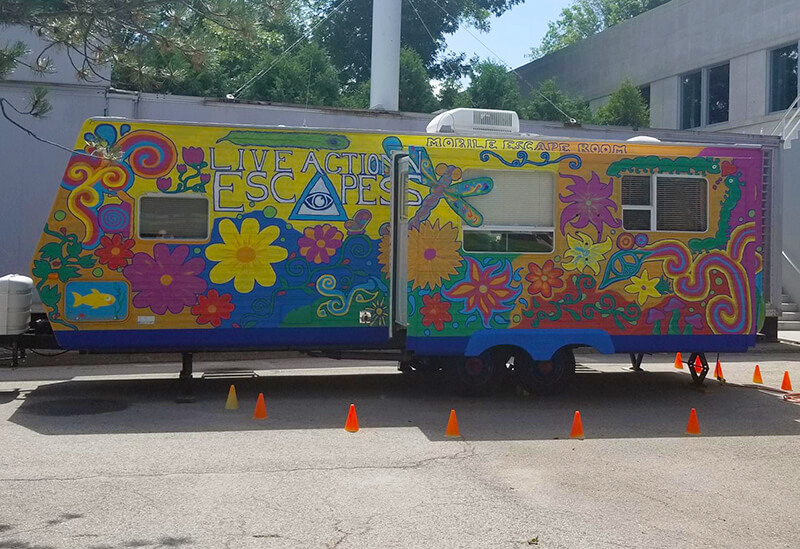 Join your team in this 1960’s throwback hippie camper and use the clues to help you locate the missing tickets. This game has multiple play time lengths available to fit any event. The Mobile Escape Room is great for large events. Attract a crowd for your grand opening or have a little something different for entertainment at your wedding, birthday party, backyard barbecue and more! Let us bring the fun to you! We will respond to you as soon as possible!